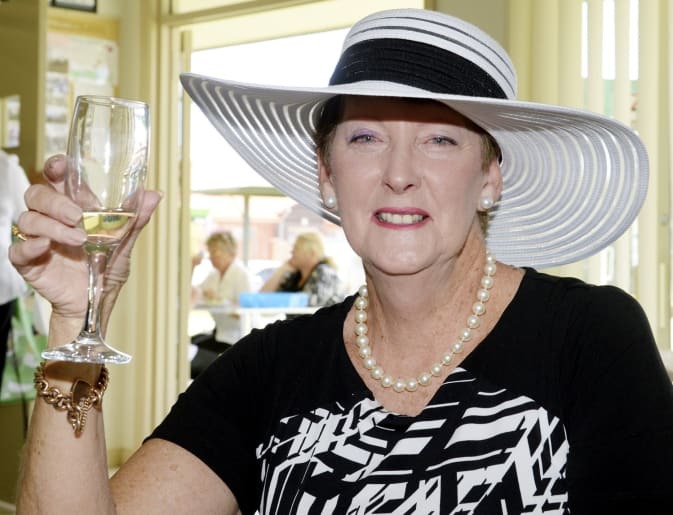 Hats off to the day: Maureen O’Connor enjoyed a glass of bubbles at the event. 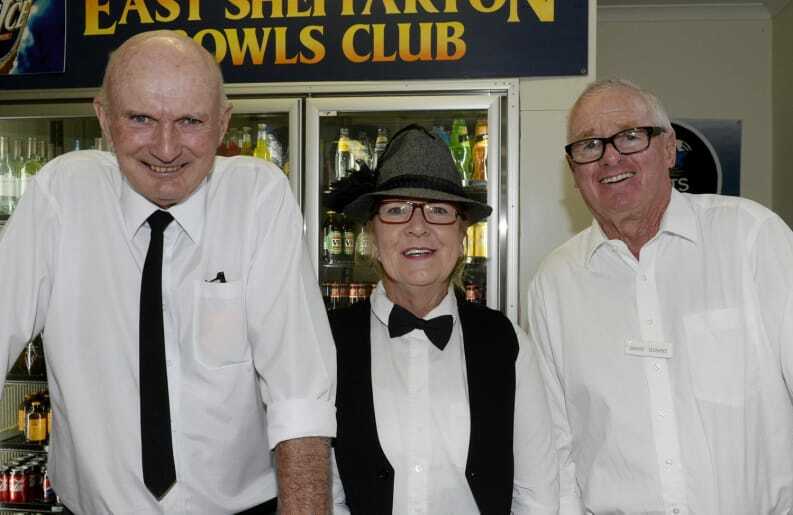 Raising the bar: Don Low, Loretta Whiteman and David Downs were the bartenders. 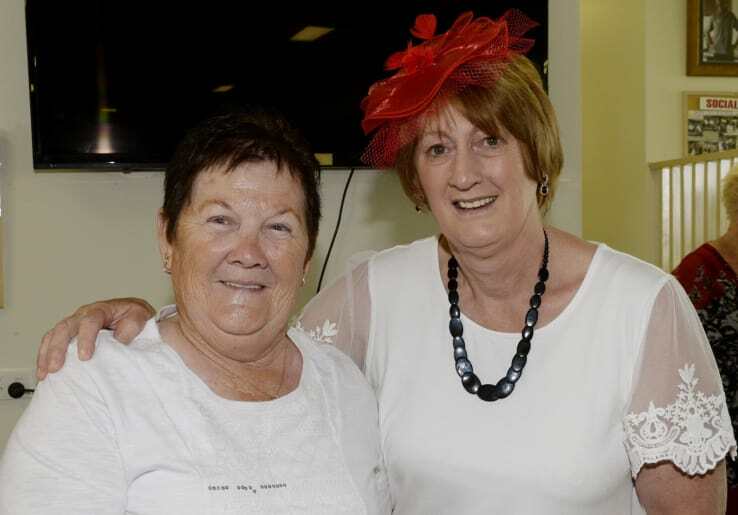 Left: Josie Italia had a great time on the day. 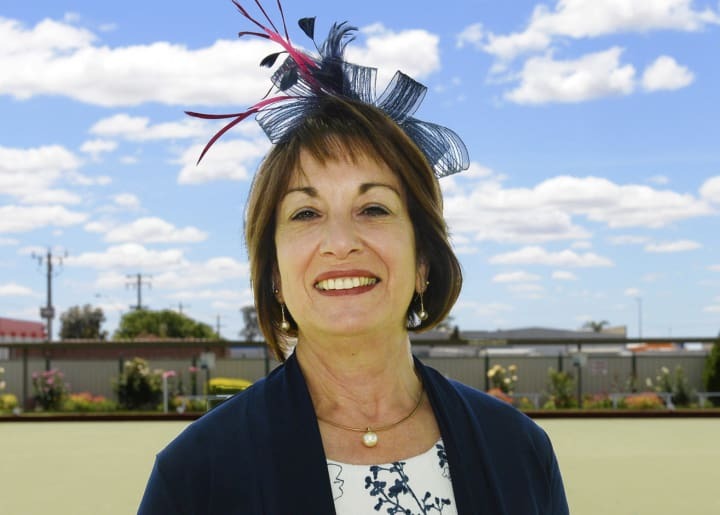 Joining forces: Lin Scott and Deb Henderson celebrated Oaks Day at the Shepparton East Bowls Club. 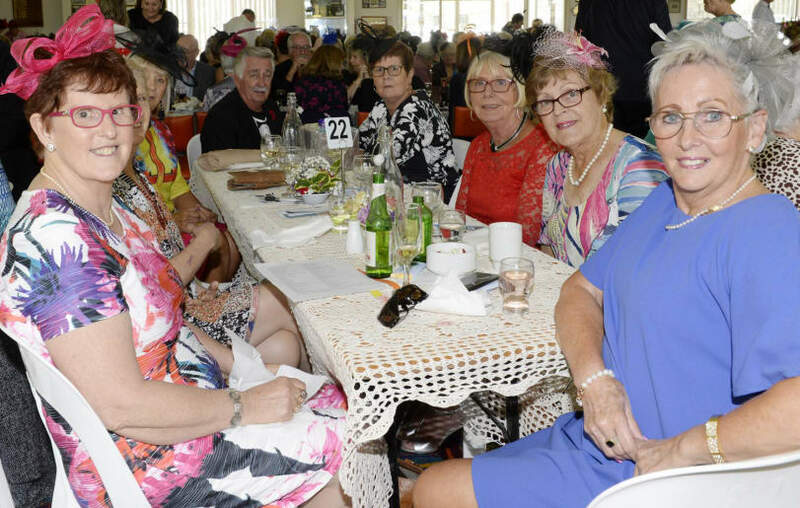 Popular event: The clubrooms were full for Oaks Day. 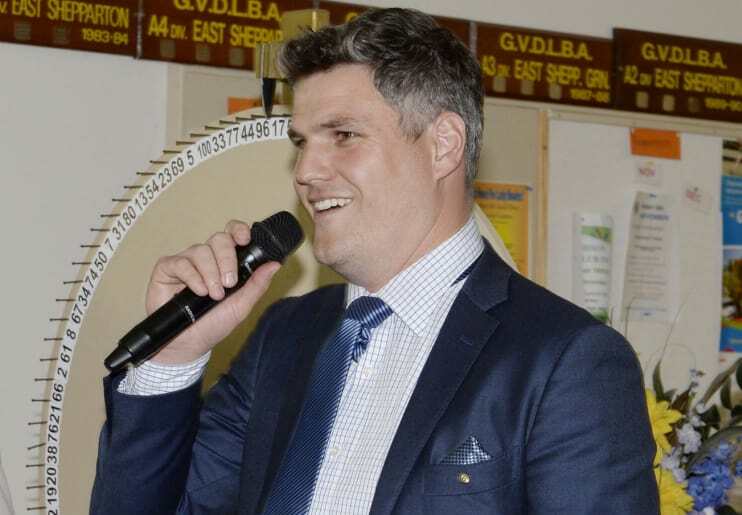 Calling the shots: Warwick Long was the MC on the day. 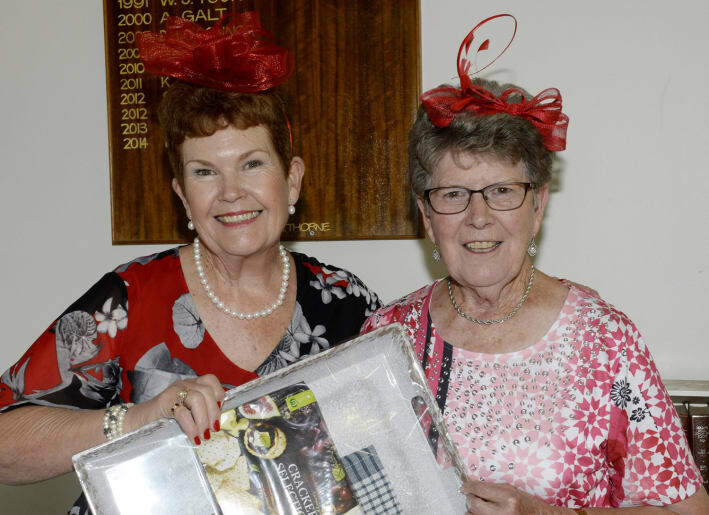 Take your pick: Marg Kay and Mary Jeffery with one of the prizes up for grabs. 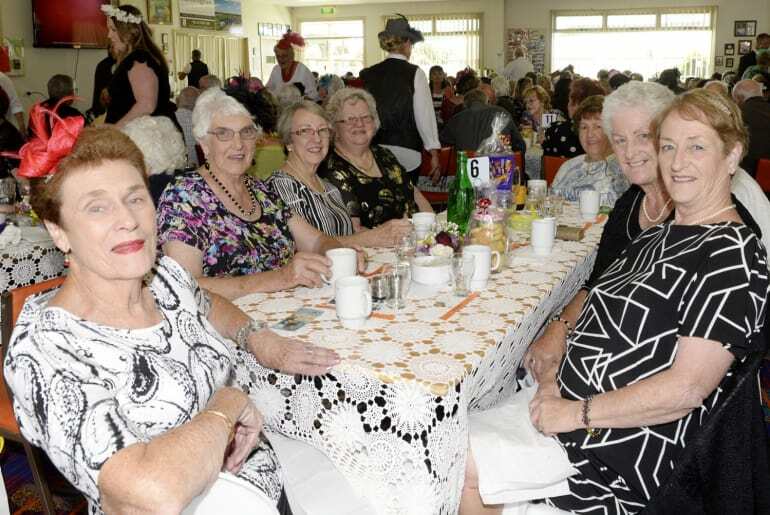 Colourful fashions were on display at the annual event.